Would you eat a blue hot dog? 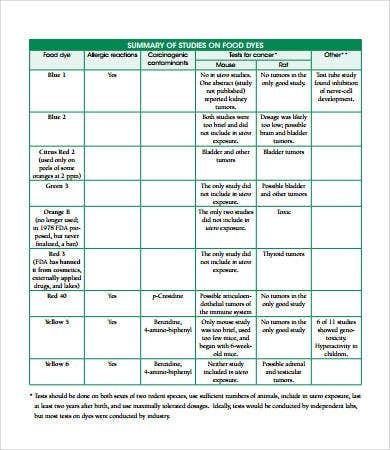 Do you find a green steak enticing? 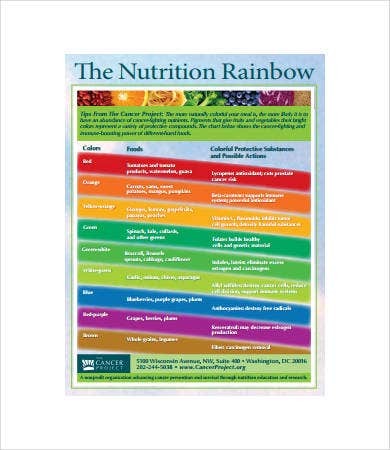 The color of the food plays an important role in people’s choice and appetite. No one would ever want to eat black burgers with white ketchup. People tend to choose food with colors that match their taste. Hence, if you plan on opening your own food business, take note of this simple food psychology. The appropriate color of a food affects its appetizing impact. 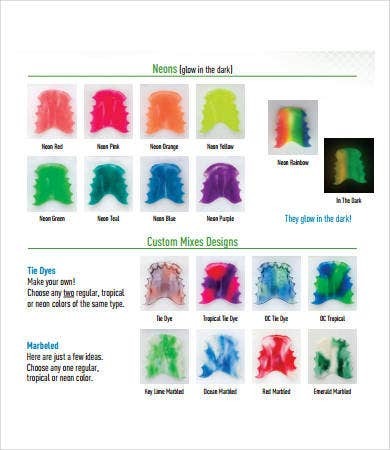 To keep you guided, you can download a Color Chart Template available on this site. 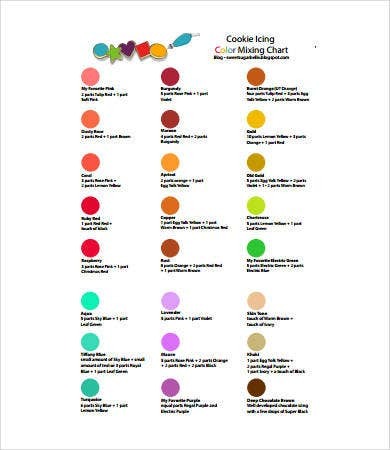 This food color chart guides you on how to mix colors for that perfect blend. Find the right food dye. 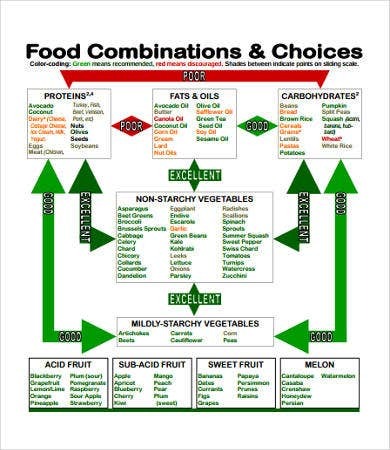 Decide on whether getting artificial food coloring or a natural one. 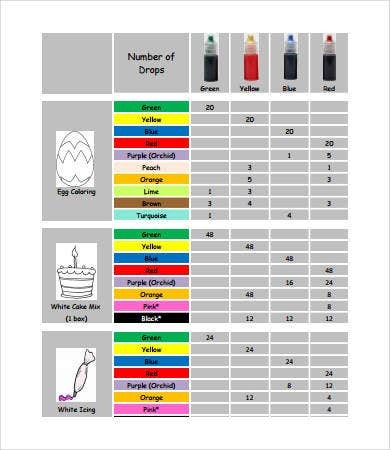 Make your own food coloring. You can make use of chocolate bars, berries, and other colorful food for your natural food dye. Start with primary colors. You can create secondary and tertiary colors by mixing the primary ones. 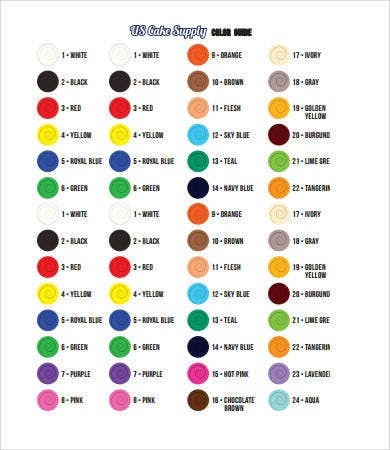 Mix and try different shades. 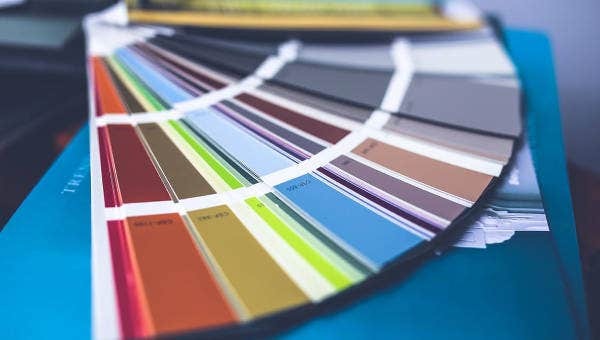 Once you get the hang of it, try different hues and shades of the colors you have. Apply to your cooking. 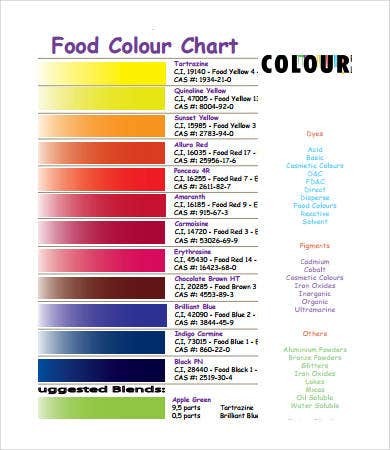 If you have already made the perfect blend, then it is time to put that color into your cooking. Mixing colors can be really fun especially when you get to do it with friends and family. However, be reminded that food dyes can stain clothes and tablecloths, so make sure to handle them properly. 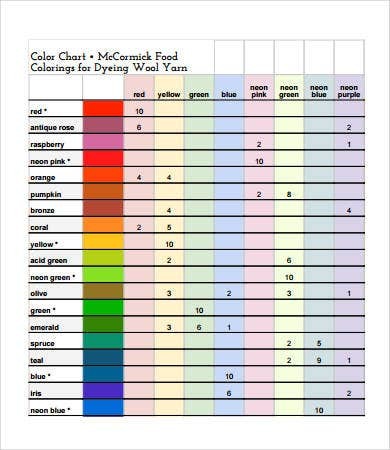 This page does not only offer food coloring charts but also other color-related charts such as a wool dyeing chart and a Hair Color Chart Template. Each template can be download in PDF file format which makes printing it an easy task. People eat with their eyes. The more attractive the food looks, the more people are inclined to eat it. Food coloring gives that flavorful look on every platter, and it makes food look fresh and well-made. However, as helpful as it seems, food coloring should still be used in moderation.